How can I use AIS 1-2Call Top Up Online? MobileTopup.com offers the AIS Top Online service for pre-paid 12Call users, know as Refill On Mobile (ROM). 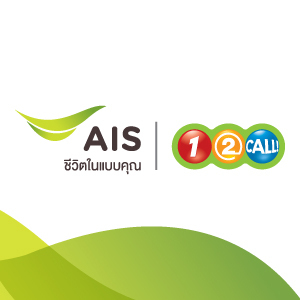 With this service we send top up recharge credit directly to the AIS One Two Call phone number. You can send credit to a phone number anywhere – as a gift, to your 3G modem, or in any country. You can pay from anywhere in the world with Paypal, Credit Card, Debit Card or Alipay. THERE ARE NO CODES SENT WITH THIS SERVICE. You will get an SMS confirmation once credit has been sent. You can dial *121# to check your balance or visit 12Call Online Access where you can see a history of all your top up credit purchases. Or, you can call the call center and they can tell you your top up history. Want to try? Visit the MobileTopup.com and enter in the 10 digit (06-xxxx-xxxx) 1-2-Call phone number you would like to top up and follow the steps. We will be phasing out our old service at ThaiPrepaidCard.com.